AutoCorrect is an automatic editing feature that is often maligned for causing unwanted and sometimes embarrassing word substitutions. 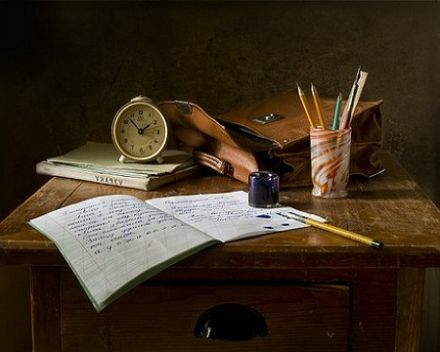 It is also a long standing feature of Microsoft Word that can be used in some surprisingly powerful ways. 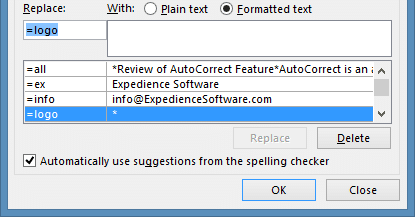 You are probably familiar with MS Office’s AutoCorrect feature. 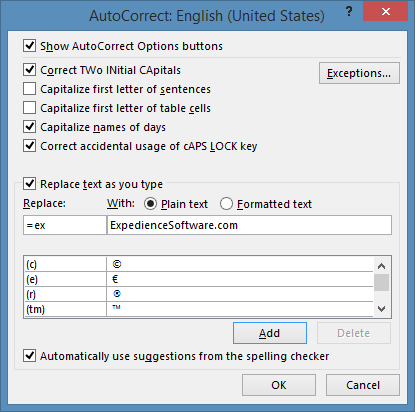 This is the feature that automatically corrects simple typos and common misspellings. For example, ‘teh’ changes to ‘the’ as soon as the space bar is hit. If it does not, then you probably do not have this feature enabled. You can find the AutoCorrect screen by going to File→Options→Proofing Menu Item→AutoCorrect Button. Select ‘Quick Access Toolbar’. Choose from ‘commands not in Ribbon’ and scroll down to ‘AutoCorrect Options…’ Click ‘Add’ and OK.
Now that we have easy access to AutoCorrect, let’s look at two little known ways to extend its usefulness. Self-Completing Phrases: AutoCorrect can be used not only to fix a mistyped word but also to complete a longer word or phrase. The text I selected appears in the ‘With’ field automatically. I simply type in a short phrase that will be easy to remember. In this case I chose ‘=ex’. 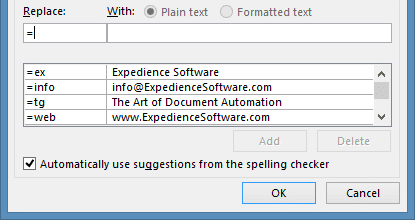 Plain vs. Formatted text: AutoCorrect offers two different options for the type of content that will be used in the replacement: ‘Plain text’ and ‘Formatted text.’ In the examples above I selected the ‘Plain text’ option. The ‘Plain text’ option is limited to 255 character and, as the name implies, only text. 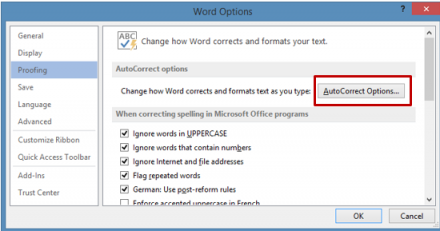 But it has the advantage of a broader range of use: once you save an entry it can be used in every Office application that supports AutoCorrect. So, once I have saved these entries in Word, for example, I can now use them in Outlook and Excel. However, this AutoCorrect’ entry will only be available in the Office application in which it was created. The default location of the .acl file is C:\Users\Name\AppData\Roaming\Microsoft\Office, though this may vary. The file will have a name that resembles MSO1033.acl. Exit all Office Applications before copying the .acl file. Copy the desired .acl file from the source computer to a disc or network drive, etc. Exit all Office Applications on the destination computer, and then paste the .acl file to the following folder: C:\Documents and Settings\username\Application Data\Microsoft\Office. 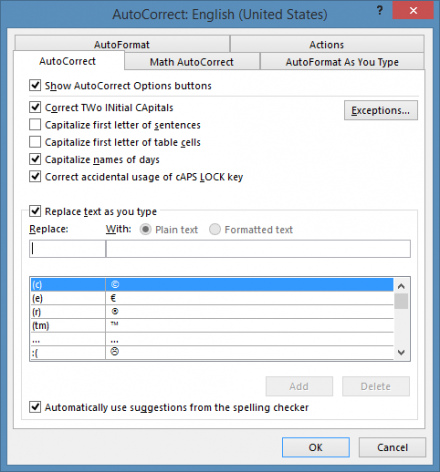 Your customized AutoCorrect list, with Acronym Dictionary, is now on the destination computer.